I saw an advance copy of a survey by William J. Byron and Charles Zech, which will appear in the April 30th edition of “America” magazine. It was conducted at the request of David O’Connell, the bishop of Trenton, and its focus was very simple: it endeavored to discover why Catholics have left the church. No one denies that a rather substantive number of Catholics have taken their leave during the past 20 years, and Byron and Zech wanted to find out why. They did so in the most direct way possible and asked those who had quit. The answers they got were, in many ways, predictable. Lots of people cited the church’s teachings on divorce and re-marriage, gay marriage, contraception, and the ordination of women. These matters, of course, have been exhaustively discussed in the years following Vatican II, and I’d be willing to bet that anyone, even those vaguely connected to the Church, could rehearse the arguments on both sides of those issues. But there just isn’t a lot that the church can do about them. No bishop or pastor could make a policy adjustment and announce that divorced and re-married people can receive communion or that a gay couple can come to the altar to be married or a woman present herself for ordination. What struck me about the survey, however, was that many of the issues that led people to leave the church are indeed matters that can be addressed. Many of the respondents commented that they left because of “bad customer relations.” One woman said that she felt “undervalued by the church” and found “no mentors.” Many more said that their pastors were “arrogant, distant, aloof, and insensitive,” and still others said that their experiences over the phone with parish staffers were distinctly negative. Now I fully understand that parish priests and lay ministers are on the front lines and hence are the ones who often have to say “no” when a parishioner asks for something that just can’t be granted. Sometimes the recipient of that “no” can all too facilely accuse the one who says it as arrogant or indifferent. Nevertheless, the survey can and should be a wake-up call to church leaders—both clerical and non-clerical—that simple kindness, compassion, and attention go a rather long way. 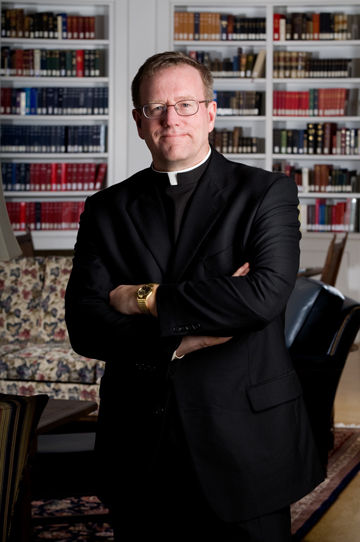 I distinctly remember the advice that my first pastor—a wonderful and pastorally skillful priest—gave to the parish secretary: “for many people, you are the first contact they have with the Catholic Church; you exercise, therefore, an indispensable ministry.” One respondent to the survey observed that whenever he asked a priest about a controversial issue, he “got rules, and not an invitation to sit down and talk.” Unfair? Perhaps. But every priest, even when ultimately he has to say “no,” can do so in the context of a relationship predicated upon love and respect. A second major concern that can and should be addressed is that of bad preaching. Again and again, people said that they left the church because homilies were “boring, irrelevant, poorly prepared,” or “delivered in an impenetrable accent.” Again, speaking as someone who is called upon to give sermons all the time, I realize how terribly difficult it is to preach, how it involves skill in public speaking, attention to the culture, expertise in biblical interpretation, and sensitivity to the needs and interests of an incredibly diverse audience. That said, homilists can make a great leap forward by being attentive to one fact: sermons become boring in the measure that they don’t propose something like answers to real questions. All of the biblical exegesis and oratorical skill in the world will be met with a massive “so what?” if the preacher has not endeavored to correlate the “answers” he provides with the “questions” that beguile the hearts of the people to whom he speaks. Practically every Gospel involves an encounter between Jesus and a person—Peter, Mary Magdalene, Nicodemus, Zacchaeus, etc. —who is questioning, wondering, suffering, or seeking. An interesting homily identifies that longing and demonstrates, concretely, how Jesus fulfills it. When the homily both reminds people how thirsty they are and provides water to quench the thirst, people will listen. The problem of Catholics leaving the church is, obviously, serious and complex, and anyone who would suggest an easy solution is naïve. However, having listened to a representative sample of those who have left, parishes, priests, and church administrators might take some relatively simple and direct steps that would go a long way toward ameliorating the situation.